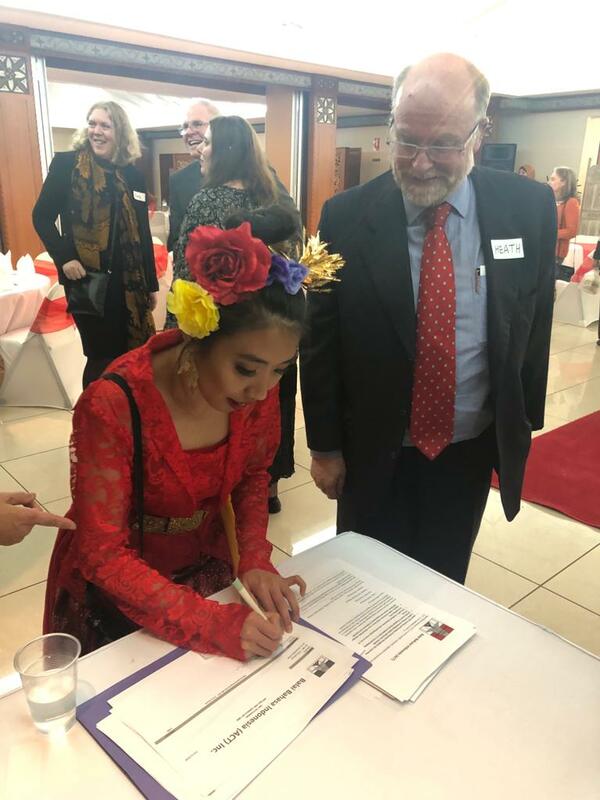 BBI (ACT) hosted a dinner on Friday, 23 November 2018 for teachers of Indonesian to honour their achievements in fostering the learning of the Indonesian language and culture at schools in Canberra and surrounding districts. 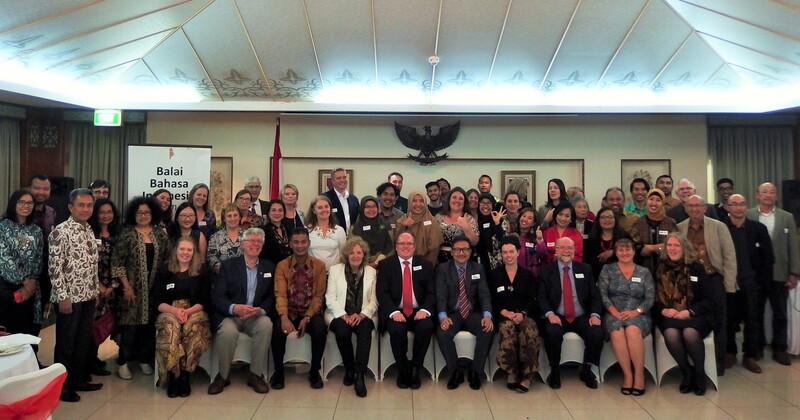 Around 50 guests, comprising school principals, Indonesian teachers and Indonesian Language Teaching Assistants (ILTAs) from 12 government and non-government schools in the ACT and surrounding region, attended the dinner at the Indonesian Embassy. The Indonesian Ambassador to Australia, HE Mr Kristiarto Legowo, was the guest of honour. In welcoming guests, the Chair of BBI (ACT), Mr Heath McMichael, said that it was a sad fact that no matter how long Indonesian programs have been in place, schools would continue to face competing demands for teachers and resources. “BBI (ACT) is of the view that the task of upholding Indonesian language programs in ACT schools needs to be shouldered by many: by national governments in both countries through funding initiatives to overcome language learning deficits; by education authorities and school administrators who aim to strengthen Asia-literacy in the class room, and by the parents of students who recognise the benefits that come from an understanding of the language of our nearest northern neighbour”, Heath said. At a time when resources for teaching Indonesian at Australian schools and universities are coming under increasing pressure, it is important to demonstrate practical support for Indonesian language programs in schools. 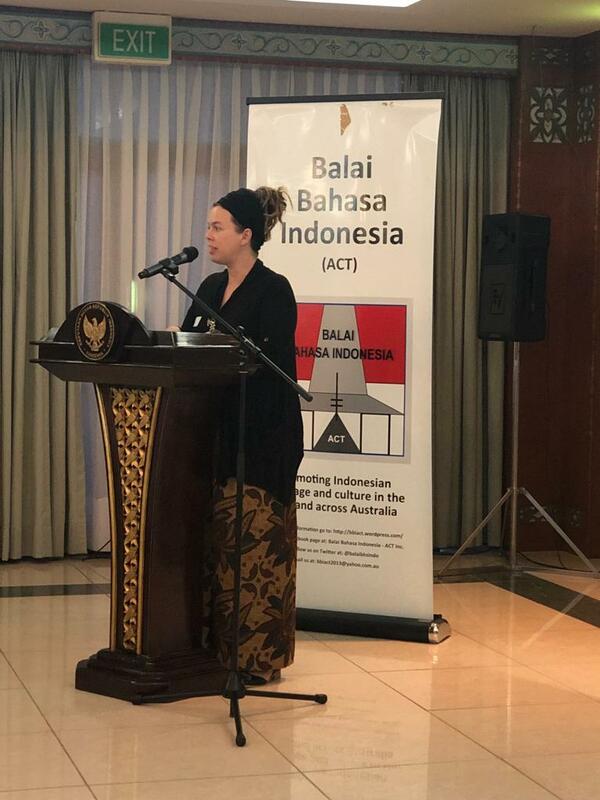 Heath said BBI (ACT) was doing its bit by organising intensive Indonesian language and culture workshops for teachers and seeking joint accreditation with the Australian National University (ANU) as a qualified provider of professional learning and development for teachers. Dr Elly Kent from the ANU’s Indonesia Institute delivered an interesting presentation on how various art and youth exchange programs between Australia and Indonesia offered opportunities for motivating Indonesian learning at all levels. 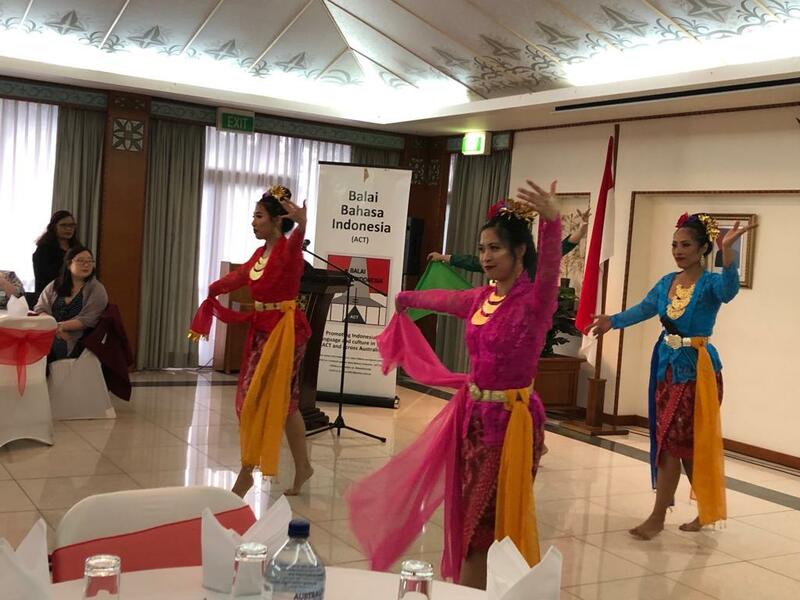 Canberra-based practitioners of traditional Indonesian dance and Javanese gamelan performed during the dinner which featured a sumptuous three course meal of Indonesian dishes. Heath said that BBI (ACT) was keen to see more school students learning Indonesian in the ACT. BBI (ACT) would continue to work with teachers, schools, the ACT education authorities and the Indonesian Embassy to stimulate interest in taking up the Indonesian language.